Hull KR have told James Greenwood to focus on his recovery and not worry about his contract situation with the club eager to keep him on. The 27-year-old back-rower, out of contract at the end of the campaign, has been ruled out until next season with a serious knee injury. Greenwood ruptured his anterior cruciate ligament in the win over Wakefield Trinity earlier this month, but also suffered damage around the ligament and is currently doubtful to be fit for the start of next season such is the severity of the damage. It means an agonising recovery process for Greenwood, who is unable to win a contract at KR or elsewhere through his performances this season and has to rely on past endeavours to convince he is worthy of a deal. And those past endeavours look like paying off. The Mail understands Greenwood, who is well liked by the club, has spoken with Tim Sheens and KR’s coaching staff about his situation. The former Wigan Warriors player has been told he is firmly in KR’s plans moving forward should he recover as is hoped from the ACL injury. RFL rules state clubs have until the start of May to inform any out of contract player as to whether a contract offer will be forthcoming. While KR won’t put a deal on the table until Greenwood is on the road to recovery, they have indicated to the player a willingness to keep him at the club should surgery and his recovery go as expected. 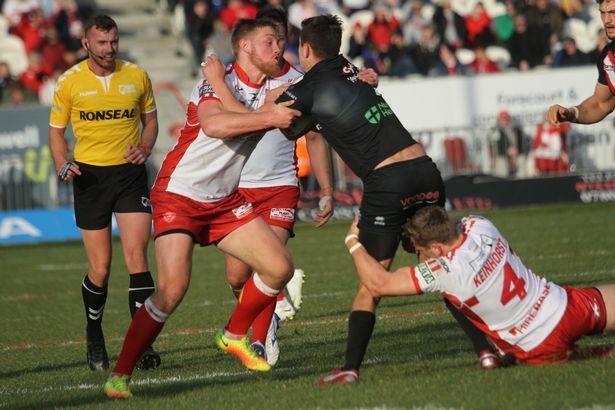 Sheens is a fan of Greenwood, seeing the player as a useful addition because of his size and mobility which allows him to play front row or back row for the Robins. Greenwood’s willingness to take a large pay cut following relegation two years ago has also not been forgotten by the club, who have told the player to wait patiently before any talks begin over his future. Greenwood is still waiting on surgery, with the specialists having informed the player he had to allow six weeks for the damage around the ligament to recover enough for surgery to take place. The forward has been a regular at KR’s training ground and remains a firm fixture around the dressing room despite his enforced lengthy lay-off. Download our app - You can download our free app for iPhone and iPad from Apple's App Store , or get the Android version from Google Play .